It’s Red Nose Day (otherwise known as Comic Relief) which means lots of fun and plenty of fundraising! This year, Maltesers have joined up with Comic Relief to raise more money than ever before. For every Malteser bake between 1st February and today, Malteser donate £5 to Comic Relief. So, in aid of the charity, I thought I would bake some Malteser Cupcakes- yum! Once your mixture is smooth, pour evenly into 12 cupcake cases. While you wait for your cupcakes to cool, make your icing. For this part, we aren’t using Mary Berry’s recipe, but the same recipe I used for Biscoff Cupcakes, using Malteser Spread instead of Biscoff. Using all of the above ingredients for the icing, mix them together until smooth and pop into an icing bag. Then, ice each of the cupcakes and decorate them with any Malteser goodies you choose! As the Malteser Spread isn’t completely smooth, it may be harder to ice your cupcakes, so don’t worry too much if it doesn’t look as wonderful as you’d like! P.S. 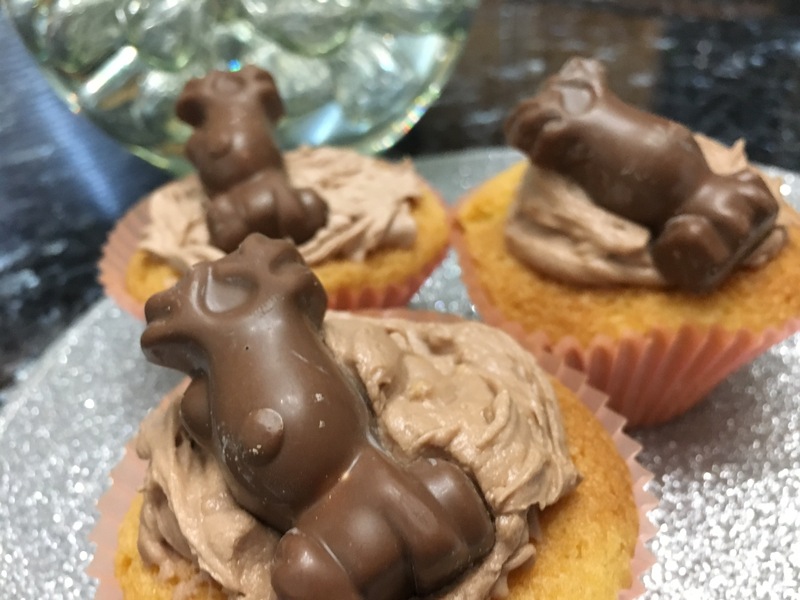 I chose to use Malteser Reindeers on my Cupcakes for decoration, as they were left over from Christmas, but with Easter coming up some MaltEaster Bunnies would be perfect! And, if all goes well, they should look something like this (or better). Have you baked anything special for Red Nose Day? Let me know down below! Aww they sound delicious! Very creative! It was a recipe from the Hummingbird Bakery cookbook. Everything in that book looks delicious but oh! So much sugar!